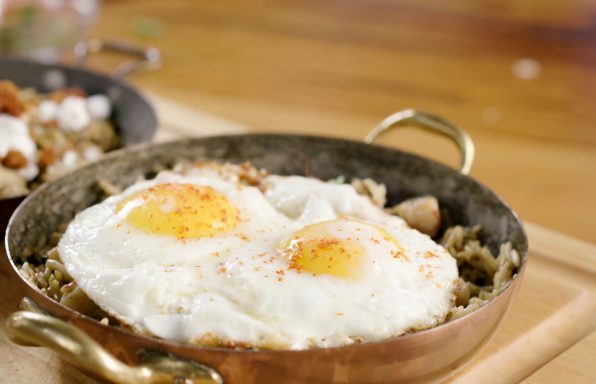 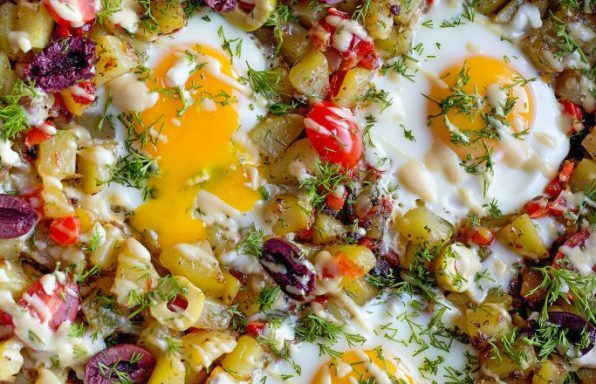 This Mediterranean potato hash skillet is also perfect for brunch or breakfast. 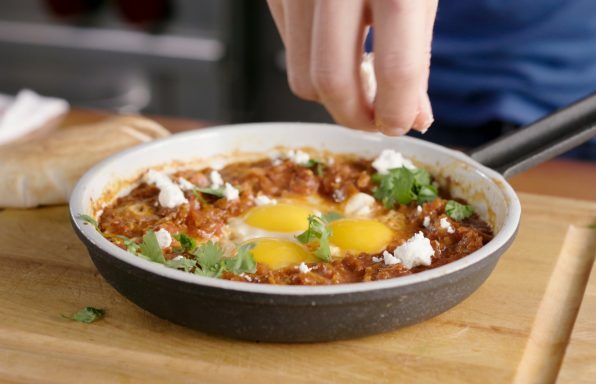 Recipe & Photos by Unicorns in the Kitchen. 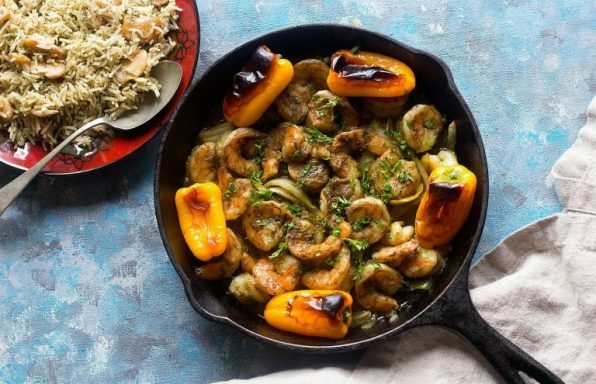 Flavor your shrimp with Wild Garden Moroccan Chermoula marinade, a flavor-infused North African herb sauce/marinade made with coriander, cilantro, red chili, and garlic with a hint of lemon. 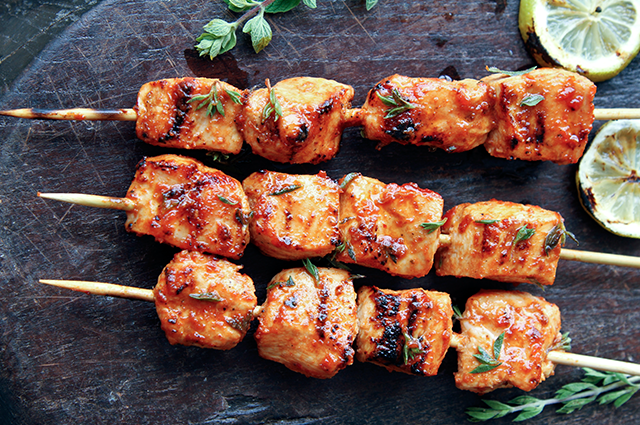 It’s an easy recipe that requires minimal work resulting in maximum flavor. 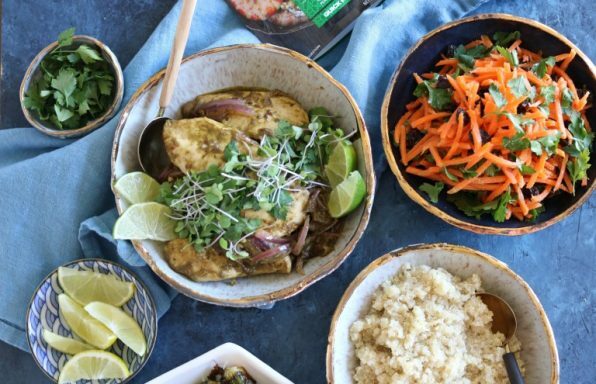 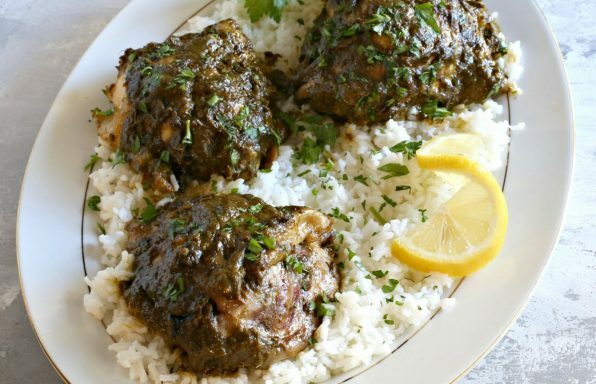 Weeknight dinner made easy with Wild Garden Chermoula Marinade! 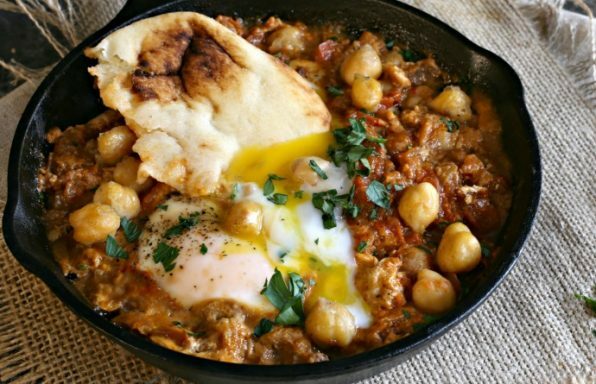 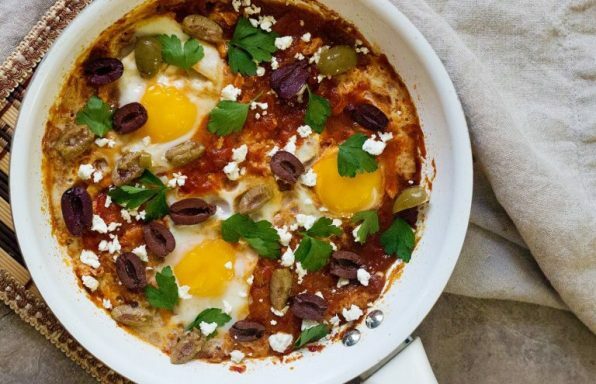 Turn your breakfast into a full meal with shakshouka served with a delicious potato pilaf. 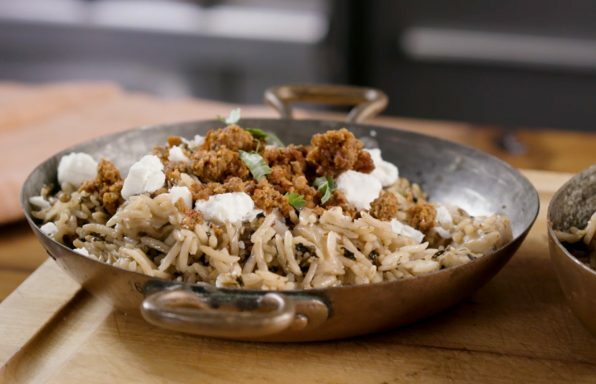 This recipe is perfect for any time of the day and can be prepared quickly! 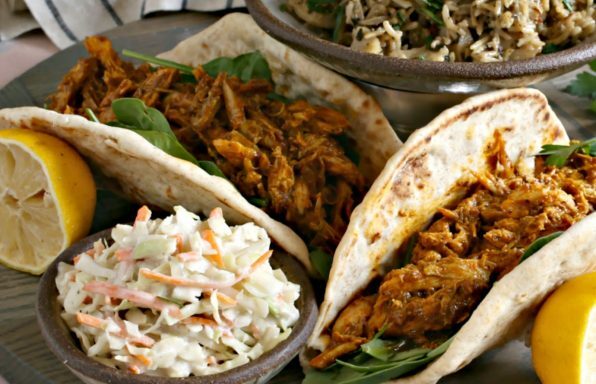 Make beautiful shawarma tacos with a side of tahini coleslaw in a flash with Wild Garden Chicken Shawarma Quick Marinade!